Koos W is the new leader! 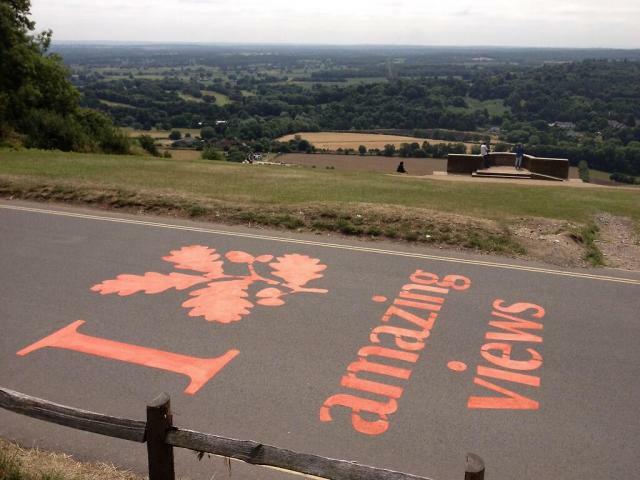 Box Hill – a bit of on outlier in this selection?! It is popular. Either day of almost any weekend the cafe is overspilling with dozens if not hundreds enjoying their achievement. How many Strava segments have more than 100,000 people making more than 700,000 efforts? Almost any time you head up there will be some to chase (or try to hold off). And indeed how many climbs have a National Trust cafe directly at the top? It is historic. It has been a staple of the club run since at least 1879 (as this archive of the gazette of the London Bicycle Club shows). And, yes, it was a focal point of the 2012 Olympics when the Men’s race ascended it nine times and the women twice. It *is* kind of cool to cycle in the tyre-treads of Millar, Froome, Wiggins, Stannard and Cav on a hill where they watched by 15,000 people. It is pretty. If you stretch your mind a bit, the smooth zig-zags and view back into the valley do offer a faint echo of an Alpine ascent. And the view from the viewing platform over the South Downs (and Gatwick) is great. And finally, my brother proposed to his (now) wife at the top of it. And they’re quite cool people. Previous Post Previous post: Koos W is the new leader!